This logo is to commemorate the City of Austin’s 175th birthday, which officially occurred on December 27, 2014. If any city is deep in the heart of Texas, it's Austin. Geographically. Politically. Emotionally. So we developed this word mark that intertwines the letters in Austin with the shape of the great state itself, merging the two together. So even when the logo is just an inch wide, it conveys all that Austin is. And all that Austin can become. T-shirt. All sales benefit the Austin Parks Foundation. Order yours! 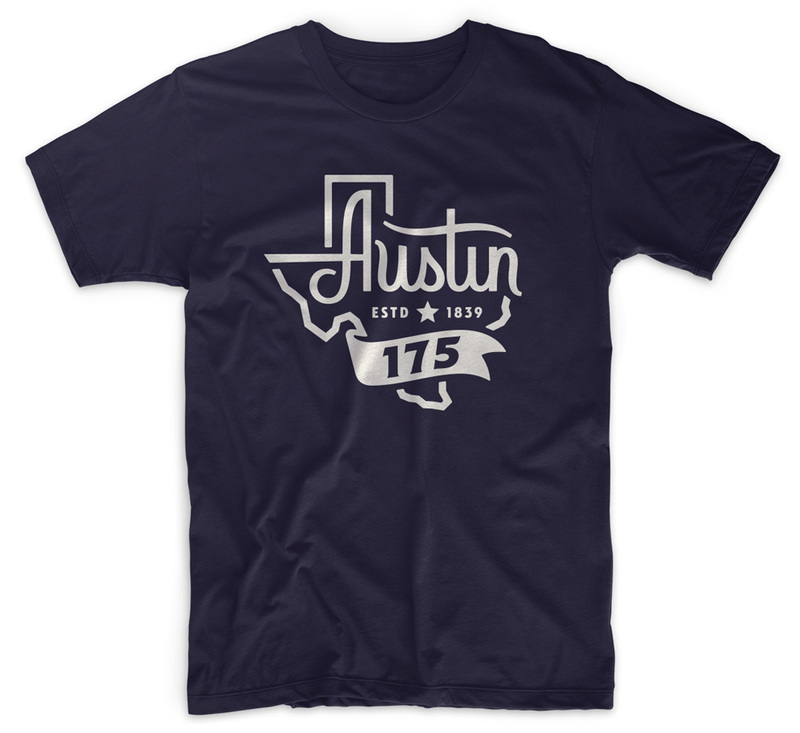 This logo is to commemorate the City of Austin's 175th birthday, which officially occurred on December 27, 2014.